These labels are permanent uncoated white, come in labels by the sheet, and are laser and inkjet compatible. 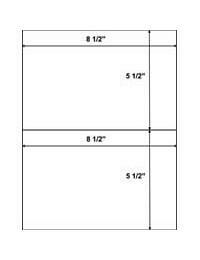 Just print and Peel Out!® the labels, and your shipments are ready to go. 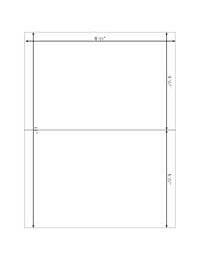 Size of Both Labels: 8 1/2" X 5 1/2"
Distance From Left Edge: 0"
Distance From Top Edge: 0"